Music is more than just a soothing performing Art. The possibilities of using this Art form to heal the mind, body and spirit is endless and that is what a number of musicians and artistes have been trying to do all over the globe. The latent powers of music, as has been successfully proved by the Eastern Beats Music Society in Guwahati, can be exploited to a large extent to unite people and to heal wounds, something which is truly remarkable. Now, another prolific musician from the State has won an innovation award for her attempts to use music to enrich life and productivity in office. 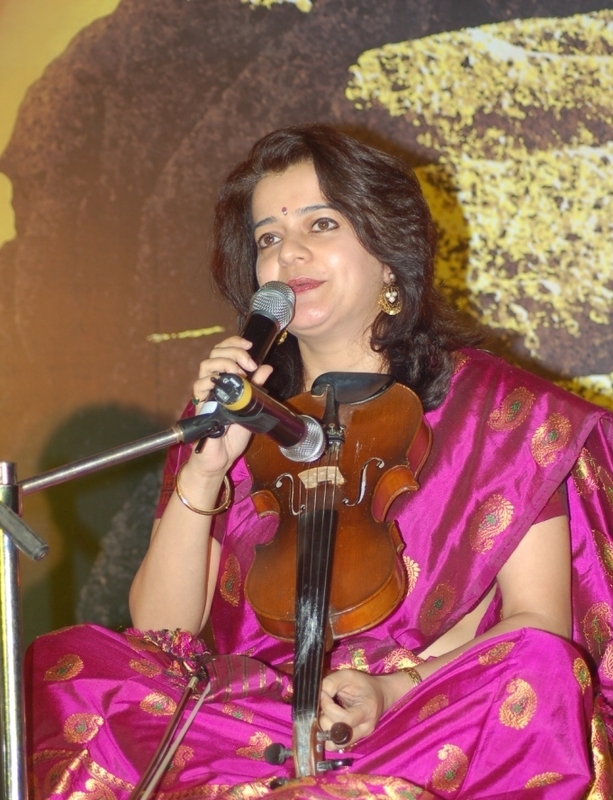 I am talking about ace violinist Sunita Bhuyan who is presently working as a Human Resource professional in Mumbai. Sunita recently won the award for ‘Most Innovative HR practice’ at the World HR Congress for her training program in Syntel – ‘Life enrichment though music’. With long office hours, tough deadlines, grueling schedules, demanding clients and unsympathetic bosses being some of the main features of most of today’s professional careers, stress comes early in a person’s life these days. Add to it lifestyle problems like lack of exercise, more bouts of anger and worry, the result if predictable: decreased productivity and higher chance of psychological and physical problems. The manifold benefits of Indian classical music need not be undermined and you only need to listen to benefit. The scientific aspects of certain raagas for tackling diseases like hyper tension and cardiac problems have been well documented. There are raagas for every time of the day. Morning raagas like Raag Bhairav, Todi, Ahir and Bhairav helps boost metabolism and puts you in an energetic and chirpy frame of mind. Besides opening up the nervous system, it lifts endorphins making you feel calm and contented. It also helps in tackling indigestion. Needless to say, the morning raagas are perfect for you to tackle a hectic day at work! Similarly, post-lunch raagas like Raag Bhimpalashri, Kafi and Dhani helps one beat the post-lunch sluggishness that is usually found to affect one during the afternoons. Besides perking you up, songs with these raagas usually invokes a cool frame of mind. Evening ragas are again mostly romantic, providing vivid images of love, colous and nature – just what you need to relax after a tiring day at work! An interesting feature of Sunita’s module is ‘Raaga to Bollywood’ – an unique method in which one can make use of the benefits of Indian classical raagas from hit Bollywood numbers. So if you don’t have the patience to listen to raagas and if you are not able to understand the nuances of Indian classical music, you need not worry. Sunita prescribes just a few hit bollywood tracks based on the same raagas and which are just as useful in beating stress! For instance, if you humming the all-time hit Tu cheez bari hai mast mast, you are just listening to Raag Bhimpalshri. And if you think Kaisi Paheli from Parineeta is soothing, it is imperative you know that the song is based on Raag Bilawal! So next time you go out music shopping, just be a bit more careful in choosing your music. Buy stress-free music, which are available in most music shops in plenty, and help lead a more productive life – both at home and in office! And on a more personal note, let me say that there’s nothing like making music. If you can squeeze out the time, enroll in a music class today! The benefits are enormous, trust me.